The nearest public parking structure is located at 650 South Forest Avenue, Ann Arbor, Michigan. Two hour metered parking is available on Church Street, however, parking spaces are limited. 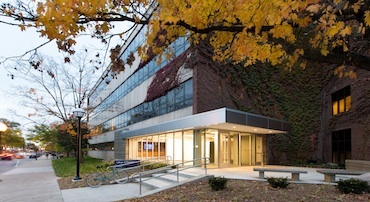 Students, faculty, and staff can access the building after-hours by swiping their ID card. The Academic and Student Affairs office is open Monday through Friday, 8am-5pm.